Sunday August 4, 2019: A date for your dairy…and to see if your Led Zep Knebworth T-shirt still fits…. Following on from last September’s hugely enjoyable Led Zeppelin 50th Anniversary ‘It’s been a Long Time’ TBL gathering, later this year we are going back to the excellent Atlas pub in Fulham,London to celebrate the 40th anniversary of Led Zeppelin performing those two memorable shows at Kneb-worth – 40 years to the day of the first date, and this time around there’s no sleeping bag required…. 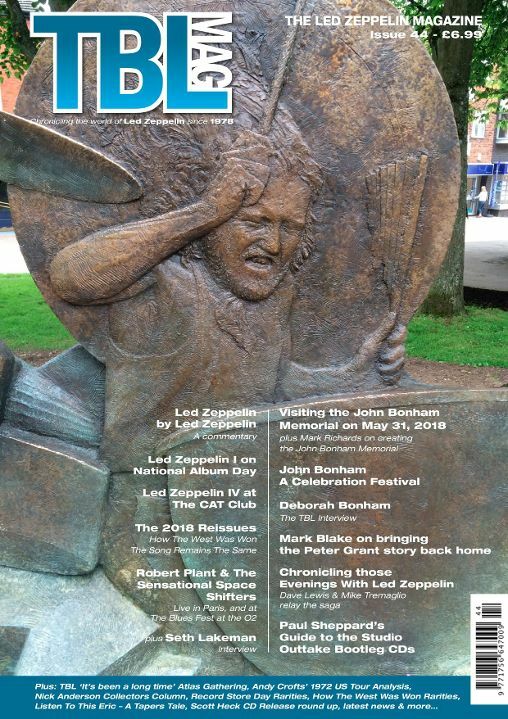 The new issue of Tight But Loose magazine is due out soon The magazine’s 44th issue includes all the latest Led Zeppelin news and features about the band. You can find out more about it here. Robert Plant quietly debuted a new band in January and will perform with them three times throughout February. 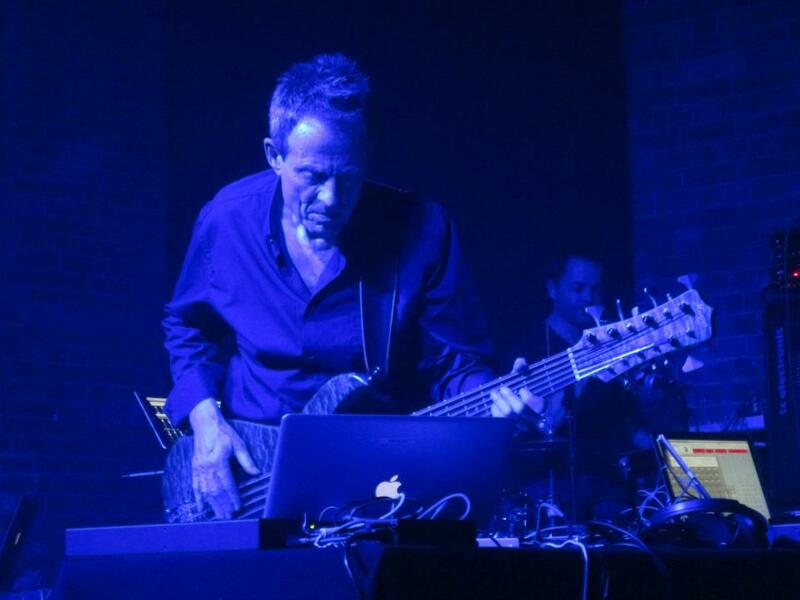 Saving Grace is his new musical project, which appears to be a side-project between tours of The Sensational Space Shifters. 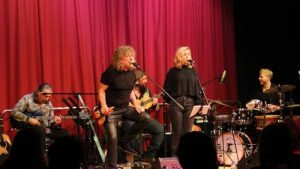 The band had their debut performance on January 25, and are scheduled to support Fairport Convention on February 14, 16 and 22 for their Winter UK tour. No videos have emerged of the band yet. Robert Plant will perform at the Secret Solstice music festival in Iceland on June 23. Robert Plant did not win the artist of the year award at the UK Americana Awards on January 31. February 14-Robert Plant will perform in support of Fairport Convention with Saving Grace in Basingstoke, UK. 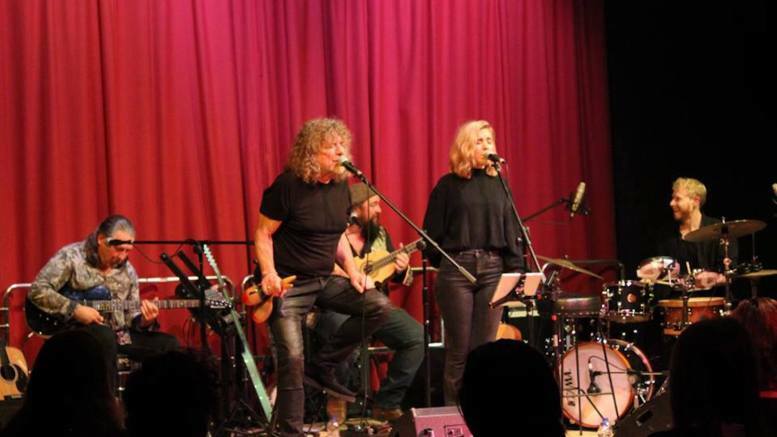 February 16-Robert Plant will perform in support of Fairport Convention with Saving Grace in Bath, UK. February 22-Robert Plant will perform in support of Fairport Convention with Saving Grace in St Albans, UK. February 24-The Tate Britain’s Edward Burne-Jones exhibition, which features two tapestries owned by Jimmy Page, closes. March- The Fender Custom Shop recreations of Jimmy Page’s Dragon and Mirror Telecasters will go on sale. March 7-Robert Plant will perform at the Love Rocks NYC benefit concert in New York. April 8- The “Play It Loud: Instruments Of Rock And Roll” exhibition, featuring Led Zeppelin items, will open at the Metropolitan Museum of Art in New York. June 13- Robert Plant will perform in Stockholm, Sweden. June 15- Robert Plant will perform at Bergenfest in Norway. June 17- Robert Plant will perform at The Big Challenge festival in Norway. June 19- Robert Plant will perform in Harstad, Norway. June 21- Robert Plant will perform in Bodø, Norway. June 23- Robert Plant will perform at the Secret Solstice music festival in Iceland. June 25- Robert Plant will perform in Tromsø, Norway. June 27- Robert Plant will perform in Svalbard, Norway. June 29- Robert Plant will perform in Svalbard, Norway. July 2- Robert Plant will perform in Halden, Norway. July 10- Robert Plant will perform at the Kunst!Rasen Bonn festival in Germany. November-The “Play It Loud: Instruments Of Rock And Roll” exhibition will move to the Rock & Roll Hall of Fame. 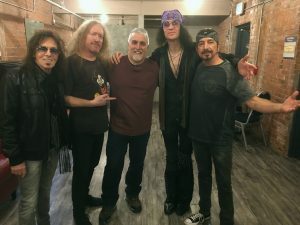 On Friday, February 1st, I went to see Get the Led Out at the College Street Music Hall in New Haven, Connecticut. One of my friends, John LaRusso, who is also a big Zep fan, had seen them several times before and absolutely raved about them. John encouraged me to check out their videos on YouTube, and after seeing about two minutes of footage, I immediately purchased tickets to the show. I was that impressed. John had also convinced several other co-workers and friends – Jed, Chris, Bill, Ralph and Maria – to check out the show as well. 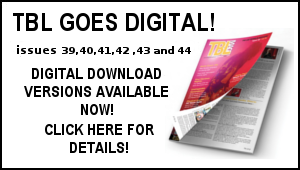 I hadn’t intended on writing a review of the show for TBL, but after seeing their performance, I knew I just had to spread the word. This band is INCREDIBLE. I’ve seen many bands performing Zeppelin through the years, and many of them were very good; however, I feel Get the Led Out (GTLO) is at the top of the pack. The difference with GTLO is that the music takes precedence over everything. They’re not all that concerned with looking and acting like Led Zeppelin, but are laser focused on delivering the best Zeppelin music you could possibly imagine. Thus, they are not tied down to the lead singer dying his hair blonde and wearing blouses three sizes too small, nor are there any dragon pants to be found. 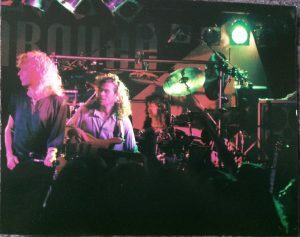 They are also not hampered by restricting themselves to being just a four-piece unit, understanding that for the music to be performed faithfully and accurately, they need additional members to execute the songs properly on stage (particularly handy for songs where Jimmy Page had multiple studio overdubs). 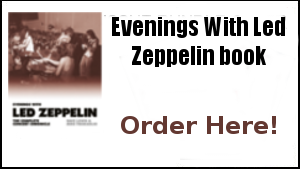 Unlike other bands, their focus is on recreating the Zeppelin material as it was recorded on their studio albums. Their attention to detail is impeccable, and second to none. Each member of the band knows the music inside and out, and when I was anticipating every detail and nuance of each Zep song we know and love, they delivered it every single time. What really separates GTLO from the rest is their passion for the music and their love of Led Zeppelin. It is that palpable. 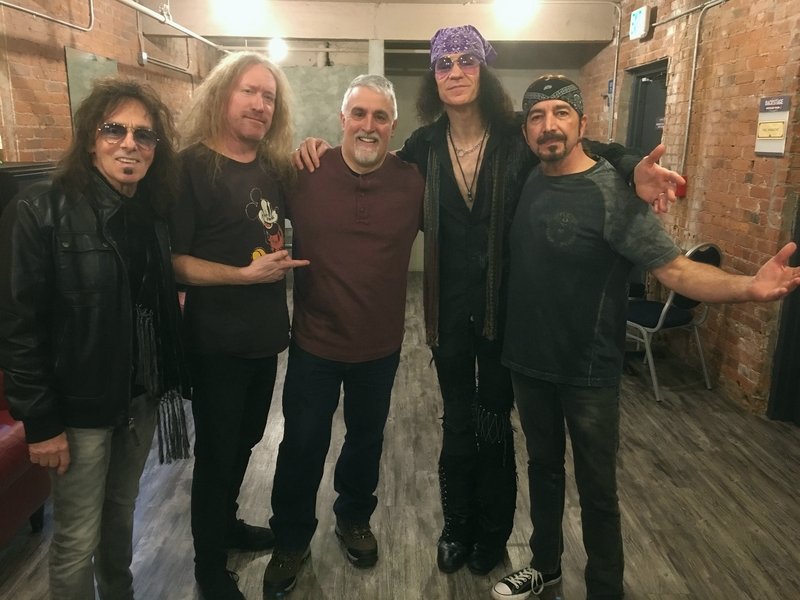 Guitarist Paul Hammond and singer Paul Sinclair were gracious enough to meet with Ralph Summa and I before the show and during intermission. Local New Haven drum legend Bobby Torello (formerly of Johnny Winter and many other bands) also stopped by to say hello. Besides being very gifted and talented musicians, they are also very genuine and humble guys. It was great being able to talk Led Zeppelin with them at length and get their perspective on the music. I felt like I was talking Zep with old friends (as I often do). Class acts, all the way around. Thanks guys. There were so many things to like about the show. The band is really tight and particular emphasis is placed on making sure the various guitar sounds and tones on Led Zeppelin albums are replicated to a T. Mission accomplished. Both Hammond and guitarist Jimmy Marchiano are both truly brilliant, trading off licks and summoning their inner Jimmy Page respectively. Their partnership works so well together because they work in tandem, not competitively, all to the benefit of the music. Along with bassist Phil D’Agostino, drummer Adam Ferraioli, and versatile keyboardist/guitarist Eddie Kurek, they function as a well-oiled, cohesive unit. All members are exceptional musicians, but even more importantly, they’re all on the same page and complement each other so well. The sound and lighting guys also deserve a major shout out, as the live mixing of the music was spot on. One of the toughest aspects of seeing anyone perform Led Zeppelin songs live is adjusting to different singing styles than Robert Plant. No need to worry here. Paul Sinclair is not only a great performer, but his voice is so much better than most bands I’ve seen playing Led Zeppelin tunes. He’s also an engaging, charismatic performer, and sings with so much passion and emotion that it seems like there’s no other place in the world he’d rather be than singing these timeless songs on stage. 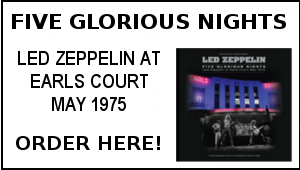 What’s really incredible about the set list is that Led Zeppelin’s catalogue is so strong, that you could compile another two-hour show of songs that weren’t played and still have a set list loaded with some of the greatest songs in rock history. In fact, the very next night in Albany, New York, GTLO performed 11 songs they hadn’t played in New Haven! That’s a great way to keep everything fresh and have the fans come back for more the next time around. The Friday night New Haven jam-packed audience was with the band every step of the way and not only thoroughly enjoyed it, but actively participated in the celebration of Led Zeppelin’s music. Smiles, laughs, singing, dancing, you name it, just a really fun night all the way around. Isn’t that what this music is all about? It’s no surprise fans keep coming back again and again to Get The Led Out. I can’t wait for their return to Connecticut! Above pic: Bobby Torello (former Johnny Winter drummer and backstage guest), Paul Hammond, Mike Tremaglio, Paul Sinclair, and Adam Ferraioli. For decades, Jimmy Page/Yardbirds/Led Zeppelin/Guitar fans have wanted a Fender Dragon Telecaster of their own. The reason was because of Jimmy Page’s cool psychedelic artwork (Page attended Sutton Art College in England before he became one of London’s hottest session guitarists). During the 60’s, many rock guitarists painted their guitars. There’s George Harrison’s ‘Rocky’ Fender Stratocaster guitar he used with The Beatles. There’s Eric Clapton’s ‘The Fool’ or ‘Sunny’ which was a 1964 Gibson SG guitar he used with Cream. and there was Jimi Hendrix’s Gibson Flying V which he used in The Jimi Hendrix Experience. There were others. Then there was The Yardbirds. Sporting three of the greatest guitarists music and Britain have ever known. In March of 1965, The Yardbirds guitarist Eric Clapton left the band. Jimmy Page was offered the job but turned it down in order to continue with session work (it paid more!). Instead, Page recommended Jeff Beck. Beck was hired. As a thank you, Beck gave Page a white Fender Telecaster he’d got from former band mate John Owen who originally bought the guitar in 1961. While in the Yardbirds with Beck, Page added eight circular mirrors onto the top of the guitar in 1966. 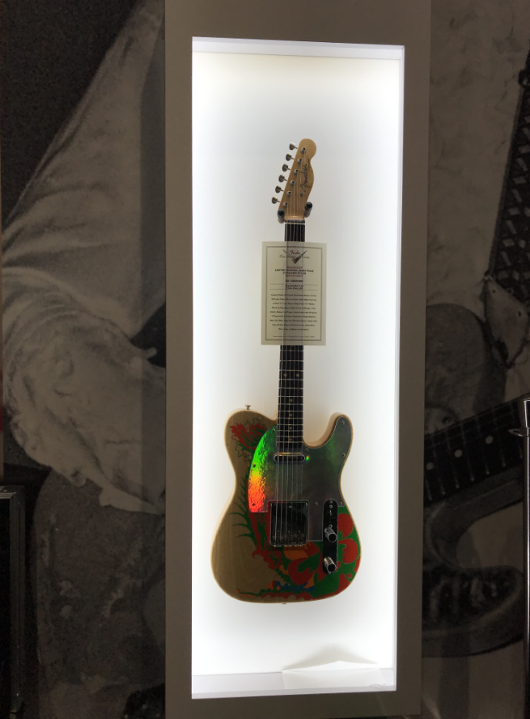 When Jeff Beck left The Yardbirds, Page took the mirrors off and sanded the guitar down and painted it in psychedelic colors in 1967. When The Yardbirds called it a day in 1968, Page carried the guitar over into his new band Led Zeppelin. Led Zeppelin’s first album was recorded entirely with this guitar and a tiny Supro amp, launching a new decade in rock. The problem for fans were multiple. Jimmy Page teamed up with Gibson guitars to create his Signature models of his famous Gibson Les Paul’s #’s 1 & 2. Then Page teamed up with Gibson to create his Signature model of his iconic doubleneck guitar. Page finished by teaming up again with Gibson to re-create his Gibson Black Beauty, a guitar which was stolen in the Spring of 1970 while Led Zeppelin were on tour. (Page’s stolen Black Beauty eventually reappeared decades later!). Fans soon found there appeared to be no more Signature Series guitars coming from Page, especially his Fender guitars. So they took matters into their own hands and made their own (myself included!) The problem was re-creating the psychedelic artwork. 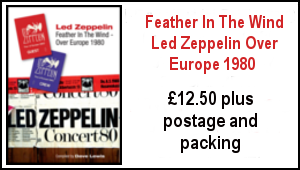 Fans scoured the 2003 official Led Zeppelin DVD. But the one color video of the guitar had blurry images from the 60’s film transfer. The other had clear black & white images but the video angles were either extremely close-up or from bad angles. So fans winged it. The problems continued. Many fans drew the artwork ‘freehand’ with disastrous results, missing key details in the artwork. For others, all the photos of Page playing that psychedelic guitar were taken with different colored stage lighting. You couldn’t trust the colors. I took a photo from the Supershow using color slide film. Using a slide projector, I beamed that image onto my sanded Telecaster and drew the artwork in exactly. The problem I faced was my guitar’s height was shorter than Page’s ’59 model! So I titled the projector until it fit. Even Jimmy Page suffered his own share of problems with this guitar. 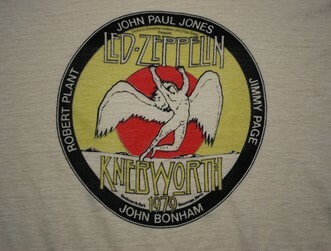 While going on tour four times in 1969 in the US with Led Zeppelin, a friend of Page’s sanded off his artwork (unbeknownst to Page!) thinking he did him a favor. Page said the guitars’ electronics were ruined. Page sanded the horror off and retired the guitar. He pulled it out again in late December 1970/January 1971 to record the guitar solo to ‘Stairway To Heaven’. 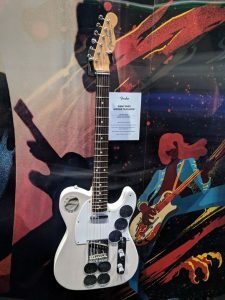 Page also took the rosewood neck off the guitar and placed it on another Fender Tele he took on the 1977 US Tour – the Botswana B-Bender. Then Led Zeppelin came to a grinding halt with the accidental death of drummer John Bonham in 1980 while rehearsing for a US Tour. 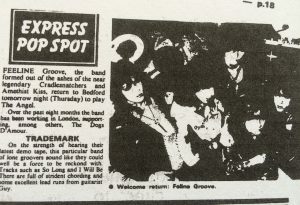 Page told an interviewer in 1994 “It will never be seen again”. Well, it’s finally here! Or should I say ‘they’ are finally here! BOTH Fender guitars! Which are one-and-the-same instrument. Just from different time periods and bands. Fender has resurrected the guitar. Sort of. Page invited them to his home in London and they took the guitar apart. Measuring it. They would end up cloning it. But more importantly, they sanded the originals’ top, sprayed it to allow painting and Page re-did his original artwork by hand again. Fender sanded the neck, finished the entire guitar with shellac and sured up the electronics and Page got another of his ‘lost’ Zeppelin axes back! And now fans can as well! Kudos to Fender for creating both guitars which satisfied Yardbirds and Zeppelin and guitar fans. And Kudos to Page for also teaming up with two guys to recreate his original tiny Supro amp. 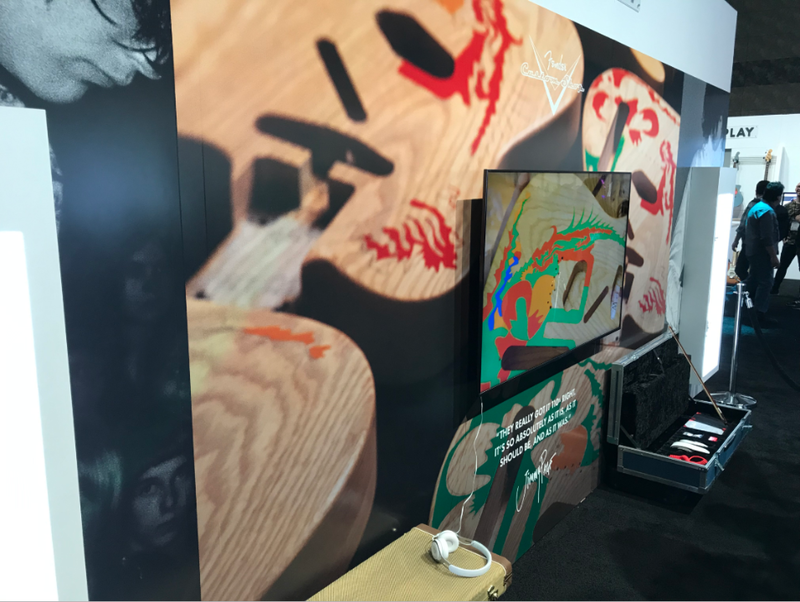 The Signature Series of Guitars will see 50 made of each – the ‘Mirrored’ and ‘Dragon’ Teles. The Dragon Teles are signed by Page, hand-painted by Page and with Certificate of Authenticity signed by Page. Each sell for $25,000. The new Jimmy Page 50 ‘Sundragon’ Signature amps sold out in one hour at $12,000 each. 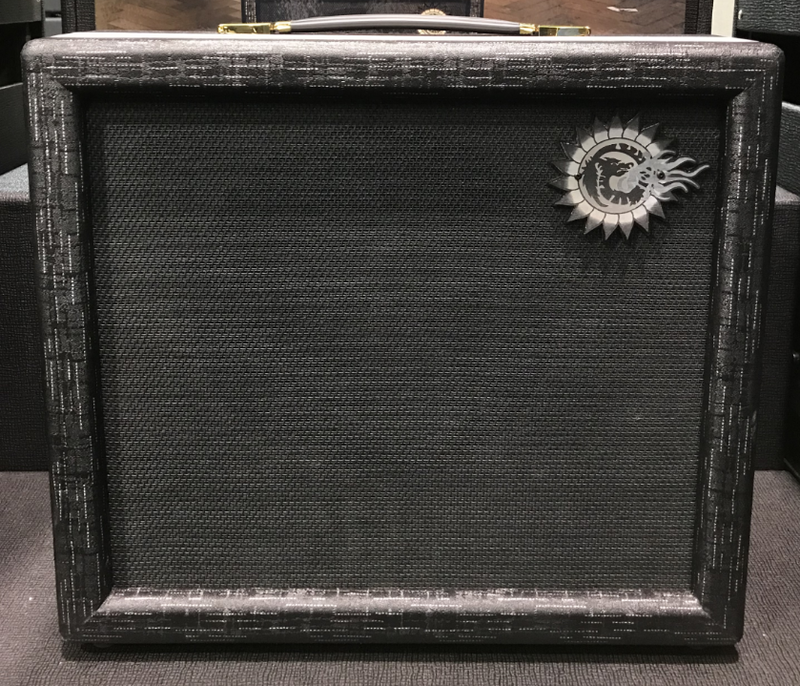 The production models (available to the average layman) will hit stores this coming March/April 2019 (for the guitars) and later in the year for the amps. “I was impressed by the whole build quality of the guitar. I didn’t expect any less. I was impressed by the ‘feel’ of the neck. It was really nice. The neck was ‘kinda chunky’ on the low end which I like. It was beautiful. The neck was bolted with a signature chrome plate. “I next picked up the Dragon Tele. I was curious to see what the dragon was gonna look like on the body. Once again, the guitar…the quality felt good. Fender’s Mexican Series guitars have always been high quality. I’ve seen many of them over the years (The Evlis Costello model & Jay Mascis model). The Dragon Tele guitar also looked nice to. The neck also felt good. This one didn’t feel as chunky as the USA one. It felt a little thinner to me. The Dragon neck plate didn’t have anything on it. It comes with a black hardshell case. I was impressed with the build quality of the Dragon guitar. But it didn’t feel as high quality as the USA guitar (white) which is expected. They’re gonna use cheaper components to make it affordable to a kid who might not be able to afford a higher end instrument. The Dragon wasn’t hand painted. I looked pretty closely at it. It wasn’t a decal or anything like that.You really couldn’t tell how it was applied to the guitar so I’m not sure. But it looked really good! The pickguard looked really cool. I was just like…..I flickered it kinda in the light and looked at the way it reflected it. Being a Jimmy Page fan, I was excited to hold both of them so I ordered each one for myself! I wish I could have played them (thru an amp). It didn’t say what kind of pickups were in the Dragon model”. (So the ‘Dragon’ Telecaster will not have the upgraded Jimmy Page pickups like the ‘Mirror’ guitar apparently). “They took his amp and di-sected it. 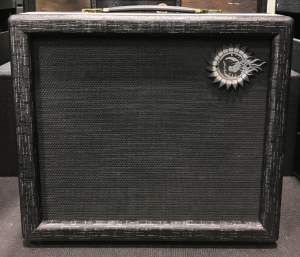 It looks like it has a 10” Jensen Speaker – ‘Blue label’ – which is a recreation of a vintage speaker. THE SIGNATURE AMPS – SOLD OUT IN ONE HOUR! THEY SOLD for $12,000 each. 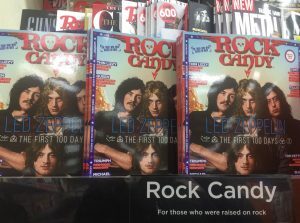 So in summary, get to your local guitar shop and hunker down for that vintage classic Jimmy Page sound as heard on Led Zeppelin’s first album! Sellers from all over the UK with all genres of music – from the Beatles to reggae. Admission 10.30am to 3.30pm £3. Grab a bargain – early bird entry £6 9am! 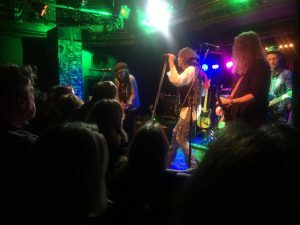 The Quireboys and The Dirty Strangers – Guy Griffin’s 50th Birthday Party – Esquires, Bedford February 1,2019. I was very much looking forward to seeing The Quireboys at Bedford Esquires – this was guitarist Guy Griffin’s 50th Birthday Party gig. 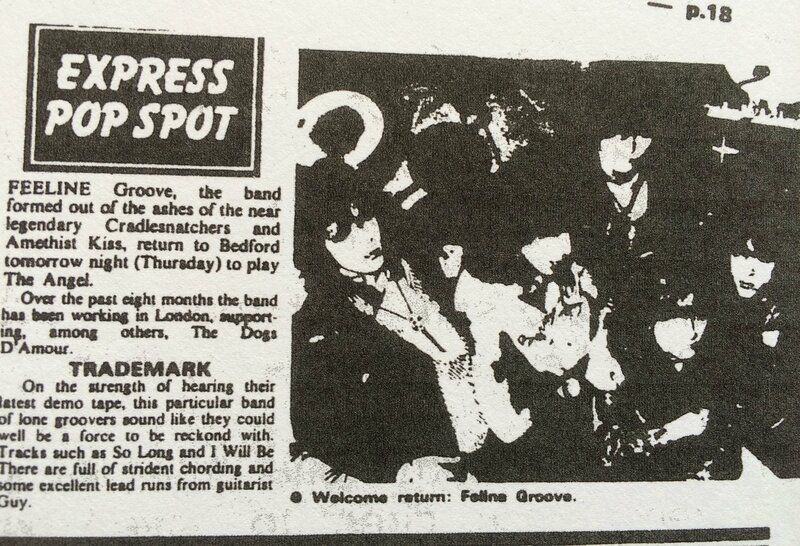 Back in the 1980s, I wrote what Guy informs me was his first ever review when he was in a local Bedford band called Feline Groove -this was back in 1987 when I was writing a weekly pop column for the Beds Express newspaper. So….to the excellent Esquires venue in Bedford for a Friday night slice of good old rock’n’roll. The Dirty Strangers set the template with a highly enjoyable raucous set. Led by the charismatic Alan Clayton, the band displayed that tight high energy strut that served the likes of Dr Feelgood and Eddie and the Hot Rods so well. A cover of Humble Pie’s Natural Born Boo…gie (which I purchased down the road at the old Carousel record shop when it came out) was delivered with much panache, aided by the birthday boy himself Guy Griffin. Make no mistake, this was Guy’s night –the local boy celebrated his 50th birthday in style. The Quireboys went down a storm – as Geordie boy front man Spike put it,this venue is something of second home for them. What is so refreshing about this band is that though they have been on the circuit for years, the pure enjoyment of what they deliver shines on through their entire set . It’s like they are playing these songs for the first time.. There’ a relentless edge to numbers such as Mona Lisa Smiled and Sweet Mary Ann while an authentic cover of Taj Mahal’s Leaving Trunk was a standout performance. Dave Lewis, February 2, 2019. 31 Years ago this week, I was lucky enough to attend the Robert Plant gig at London’s famous Marquee Club. This was a press gig to launch the Now And Zen album. This was another hugely exciting occasion. This was in the era when I made it my mission to get down the front and mix it in the moshpit.There’s photographic evidence of that fact in this pic as that’s me in the right hand corner looking up in wonder and awe …as the singer did his stuff. Had I lied and said ”No that’s not me mate”‘, well fate would have dictated many things. Not least the fact that our respective bank balances would have been more intact over the years and we might have had a whole lot less hangovers! As it was, the result of that first meet led on to many things, not least GF’s marriage to Carol (and indeed a son in Jimmy) a relationship borne out of a subsequent TBL meet up before a Robert Plant gig at Brixton in 1993. The celebrated boy Foy has been a constant companion and inspiration on many a Zep related sketch since that day in 1988. His duties as integral member of the TBL crew have included everything from clearing up the vomit of a renowned Led Zep roadie, buying three fan belts to fix his car on our way back from a Plant gig in Warwick, wearing a silly Turkish hat at a time of particular stress for the TBL editor in Istanbul, giving me a rib crunching bear hug when Jimmy and Robert struck up Wearing And Tearing at Knebworth in 1990 – to name but a few of many hilarious/perilous encounters we have shared all in the name of Led Zep. In all seriousness, his contribution to all things TBL over the years has been immense. 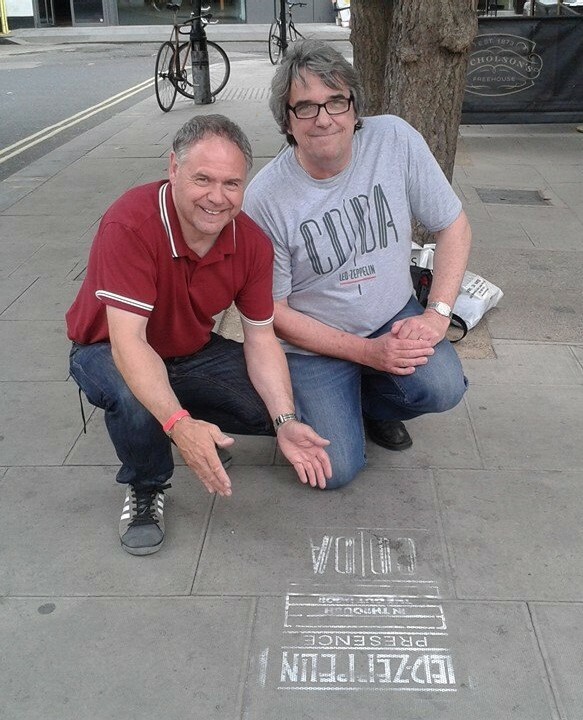 The fact that I answered ‘’Yes that’s me’’ to his question on that fateful afternoon in the Marquee has led to a friendship graced with immeasurable generosity and loyalty on his part that has considerably enriched my life and enjoyment of this thing that first bound us together. It’s Gary’s birthday this Saturday February 9th. 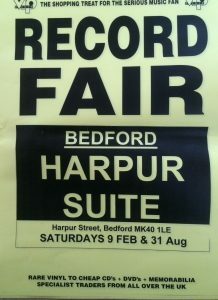 I am hoping to catch up with him on the day as he plans to pop over to check out the VIP Record Fair with son Jimmy. 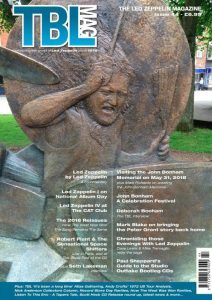 I have great affection for that Now And Zen period – in fact the Robert Plant Leicester University gig of January 23rd is one of my all time great gigs – it was the first time I witnessed him performing Led Zeppelin material and the effect at the time was simply astonishing. The Marquee was also a superb night – I particularly recall an inspired romp through The Doors Break On Through. Gary and I went on to see the shows in Warwick and London in the spring which culminated in Jimmy’s appearance on the Hammersmith Odeon –another golden memory. 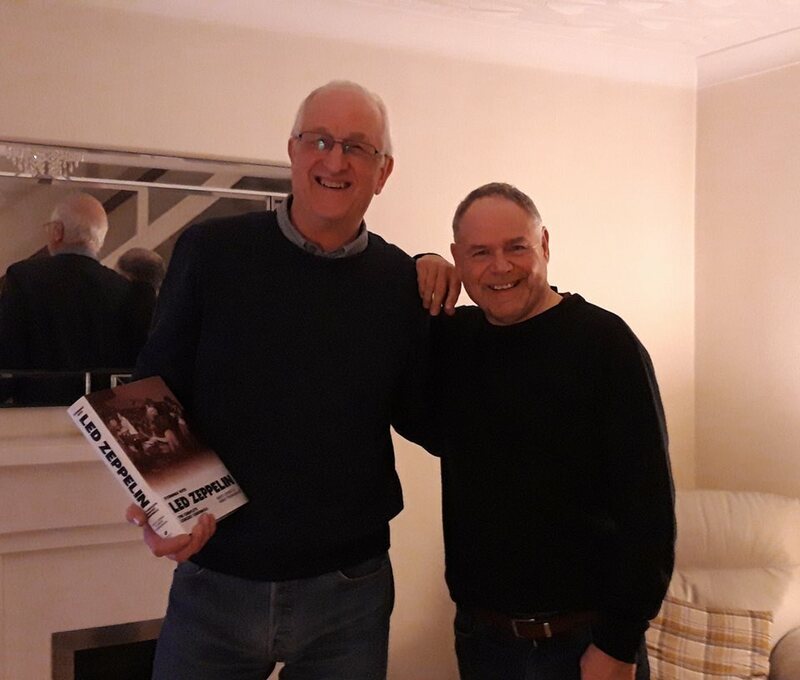 Last Saturday it was great to hand over a copy of the Evenings With Led Zeppelin book to my lifelong very good friend Mr Phil Harris – the man I sat alongside in the second row watching Led Zeppelin at Earls Court on the evening of Saturday May 24, 1975. Read all about it on page 468 of the book. Something of a wearing and difficult week here with various hassles taking time to sort out. 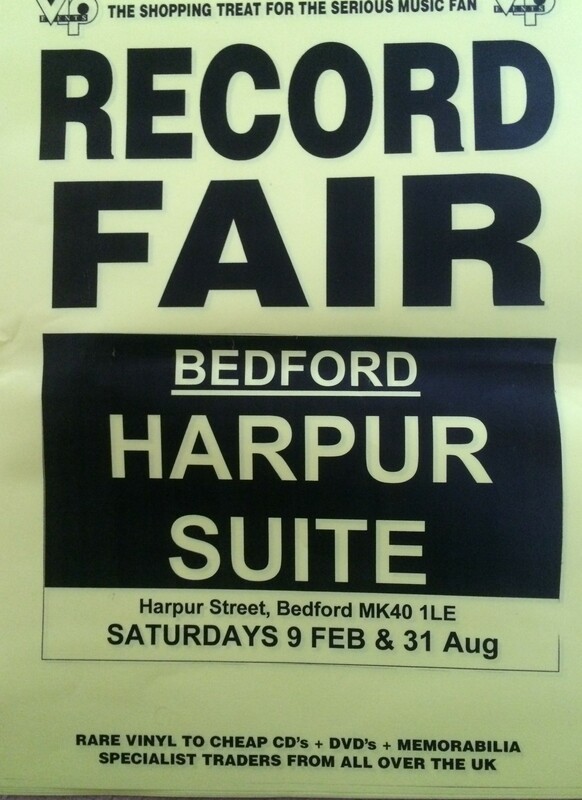 It’s a big few days ahead with the Bedford VIP Record Fair this Saturday and the impending arrival of TBL issue 44 and all the distribution issues that go with it. If you have yet to pre order you would be advised to do so as soon as possible to avoid disappointment. Having spent many an hour bringing it all together, the aim is to bring it to a wider audience as possible. You support as ever, is much appreciated.